This year’s Techsurvey from Jacobs Media included more than 500 stakeholder stations and 50,000+ respondents. It’s loaded with strong takeaways and insights for everyone in radio. You may have already seen or heard about some of the findings about podcasting, smart speakers, connected cars, as well as radio’s resilience as it navigates the digital media ecosphere. It’s the only study that focuses on formats (we include 14 of them), as well as generations, gender, ethnicity, and other key crosstabs that put the data in perspective. Jacobs Media has drilled down this massive study to 10 major takeaways, and they’ll present them in a free 30 minute webinar. 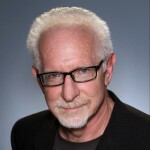 Fred Jacobs will also discuss the implications of these data points, and what they mean to radio broadcasters in 2019 – and beyond.